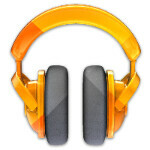 The pre-installed music player application on Android devices, Google Play Music, has been updated to version 4.5.9. 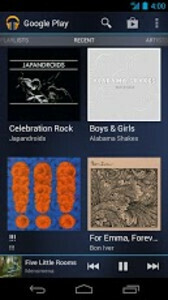 This adds some new features such as the ability to listen to continuous music playback for mixes larger than 25 tunes and also offers new default album art. 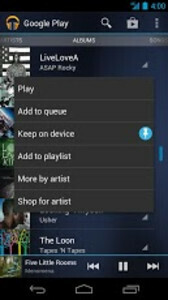 Users can now shuffle an entire playlist, artist or album and a previous button has been added to the widget. Pinning progress can now be seen on the album and playlist pages. Lastly, the update removed a curious bug that affected owners of the Samsung Galaxy S III which would freeze the device. The good news is that those with the flagship Android handset no longer have to worry about their phone freezing. The update could have been installed automatically depending on your settings. If not, head over to the Google Play Store to pick it up. finally!! it feels like a wish come true for the widget update! :) cool!! Yaaay! I love Google Play Music, their UI is amazing.